Tom Brokaw, the former NBC news anchor and bestselling author called the Traditionalist the Greatest Generation. The Baby Boomers had the political consciousness and attitude of We Will Change the World. The advances in technology have profoundly formed the aspect of Gen Xers lives and how they had to transition from the analog past to the digital future. Our time has come Gen X will make their mark. Millennials the most tech savory generation which give them an amazing amount of access to information instantaneously through the internet and the social Medias. The most computer literate generation. Their computer literacy and proficiency is unmatched. The Millennial believed that we can do anything and Yes, we can do. Whenever, the passing of the batons or torches take place it will always take resilience, courage and commitment to keep moving forward. 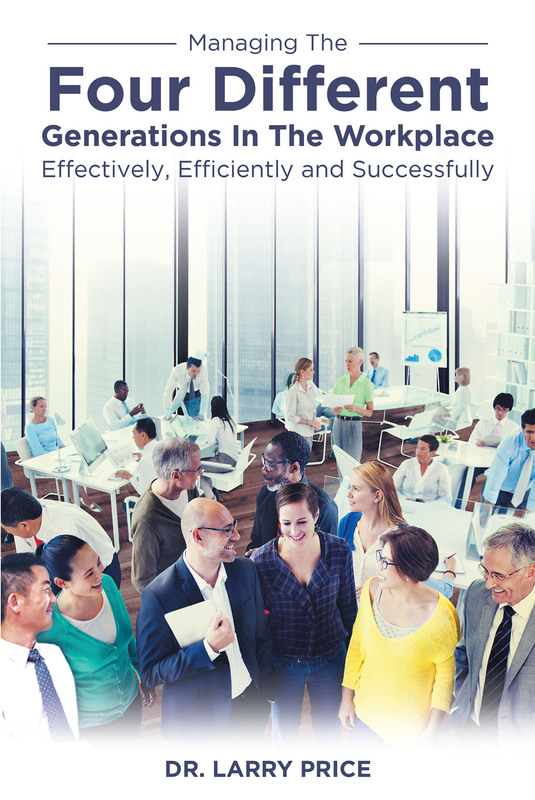 For international countries and companies that will be utilizing workers from these different generations, this book based on a qualitative phenomenological approach can be a valuable tool in providing critical insight, information, and perspective into these generations. This book contains useful theories and methods for achieving the optimum performances in terms of innovation, collaboration, and sustainability. Nobody is suggesting that conflicts can be eliminated from human interactions between the different generations in the workplace, however, there are opportunities to manage these conflicts so that the companies can become successful in increasing the bottom line. There are a couple of equations in this book that can be utilized. For example, Critical Thinking + Commitment + Collaboration + Confidence + Cohesiveness + Courtesy = Successful Performance. This equation is called The Six (6) Cs. Small business can benefit from this information as well.